The car was soiled and dirty, but we could see that the body was straight and original with no sign of damage or repair. Things really got interesting when we lifted the truck lid. We saw the factory boot cover, no scuffs, scrapes or rips and the original tool bag, unsoiled and with the original tools. 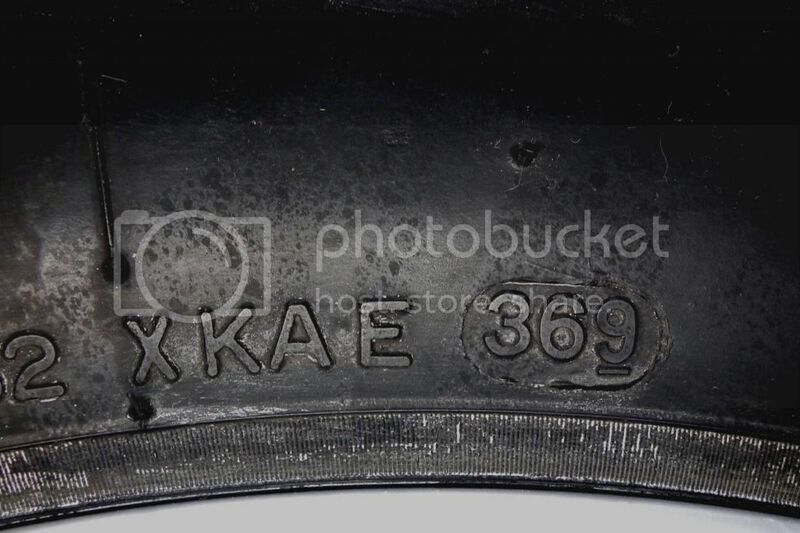 The spare was a Pirelli P-600, with “369” as the date code (36th week of 1989, the first week of September). 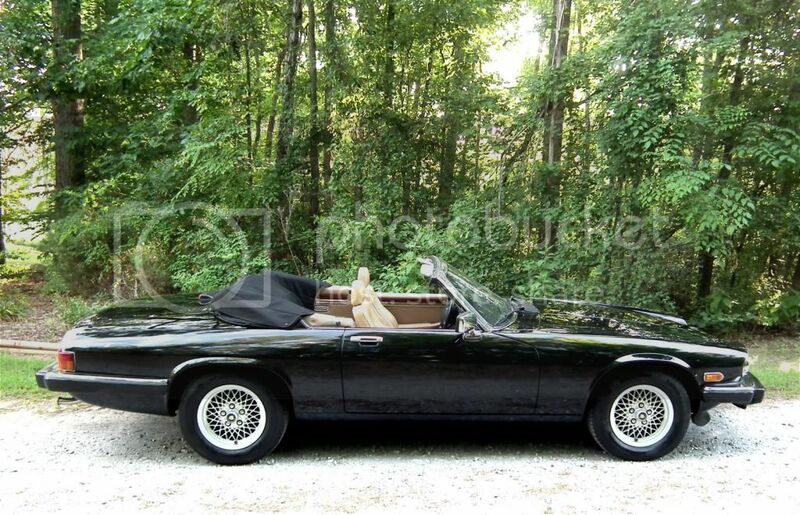 The car was manufactured in Sept. 1989, so it was one of the original tires. When we raised the truck mat, expecting to see the usual rusty mess, we were shocked at the clean, shiny, totally rust-free metal, just like it left the factory in Sept. 1989. That's what sealed the deal for us. 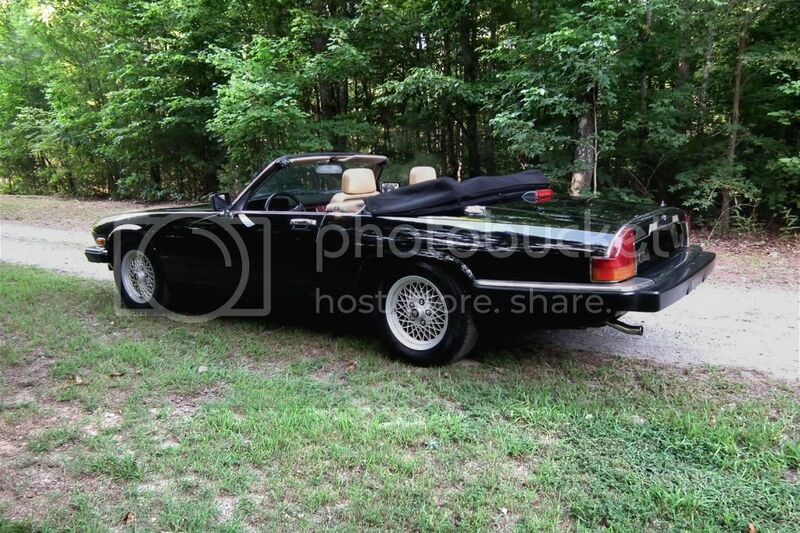 We were looking at an original, unmolested Jaguar convertible, an early 1990 model in best best colors, black over tan. 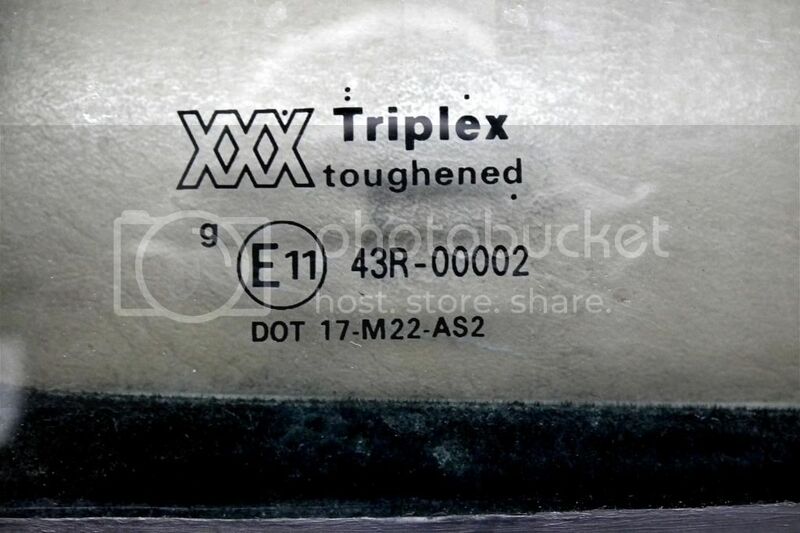 The glass date code shows it's the original British Triplex, manufactured in July 1989. 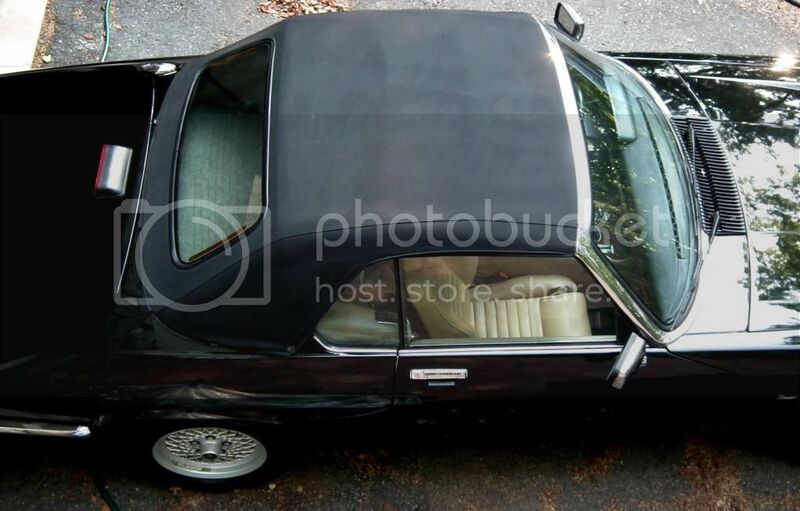 This is really an original car. We took the car to C.D. 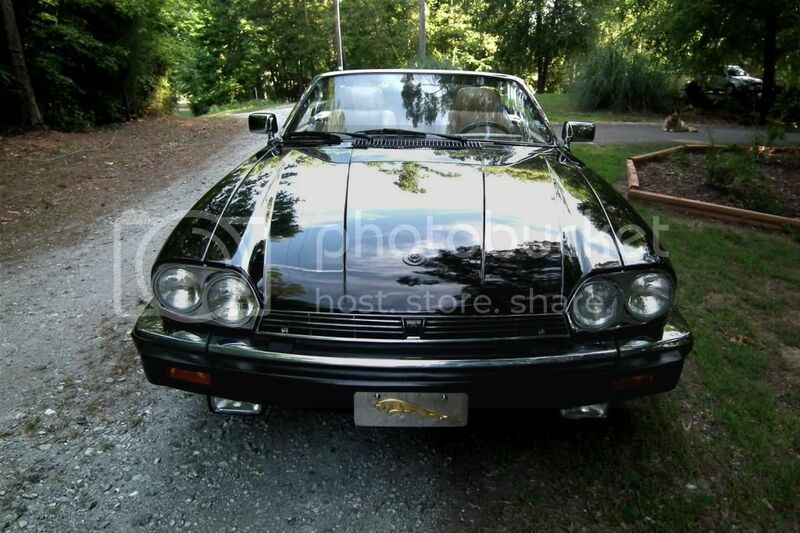 Ramey Automotive, well known Jaguar-Porsche mechanic in the Greenville-Spartenburg, SC area, and told him to do what ever it needed to get the car running again and make it road worthy. Five months and $4,017.48 later, was ready. Here's what was done: Replaced heater hoses and heater control valve Cooling system flushed and fresh antifreeze added New set of tires installed New spark plugs, OEM ignition wires, distributor cap, rotor button and fuel injection hoses installed Oil and filter changed and 12 quarts 20W-50 Castrol added Fuel tank full of rust and gunk; removed fuel tank and sent to specialist for rust removal, cleaning and coating Fuel filter, sending unit, and various hoses, seals & clamps installed New ABS brake accumulator installed so anti-lock brake system functions correctly New premium battery installed We drove the Jag on an eighty-mile shake-out cruise on a 90 degree SC summer day and it ran fine, smooth, powerful and the engine temp indicator stayed right in the middle where it's supposed to. We cleaned it up, waxed it and took some pictures. You can see the result. 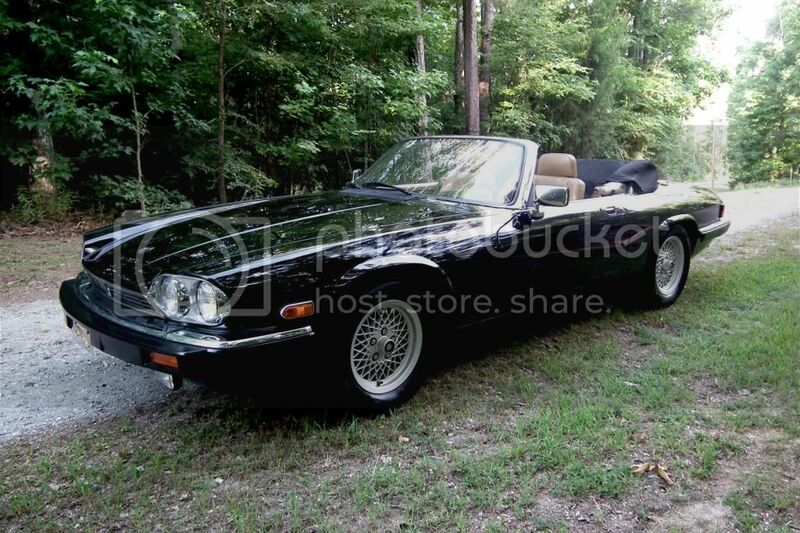 This Jaguar appears to be a totally original, unmolested car, just the kind collectors look for. 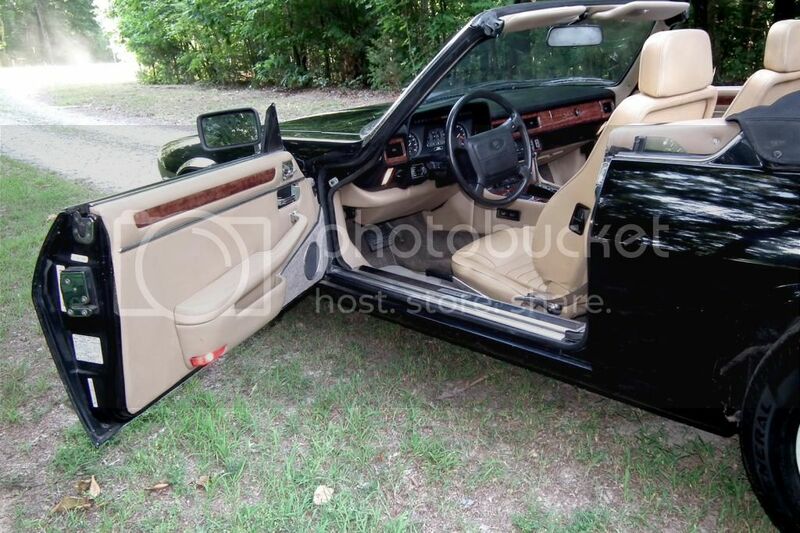 It's the last year of the original body style before the face lift of 1991. 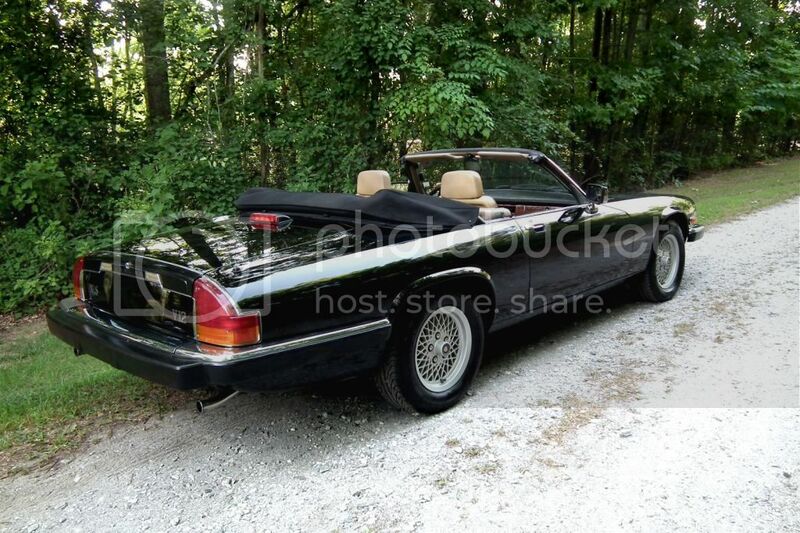 The paint, the chrome, the top, the wheels and the boot cover all appear to be factory original. 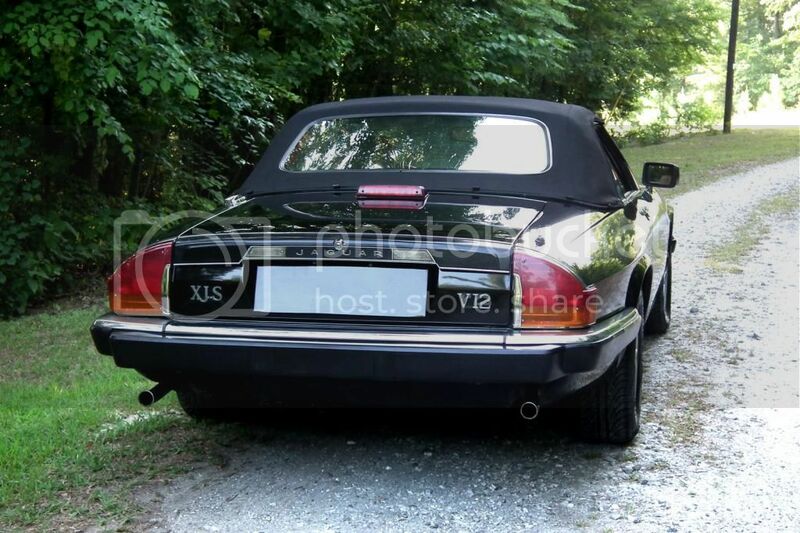 We think the exhaust system is also factory original because the word “Jaguar” occurs as embossed letters. 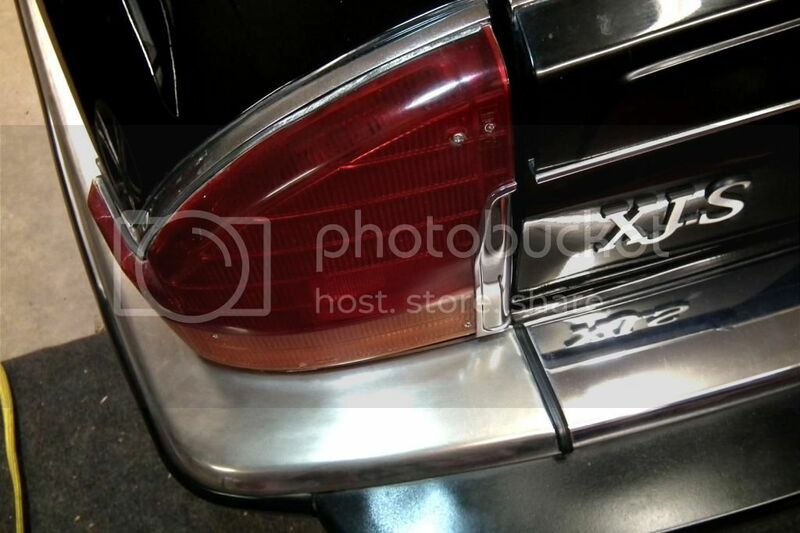 The only flaws we can find in the body is a tiny scuff just to the right of the left taillight and the chrome on the left rear bumper is a bit cloudy. Neither shows up in regular pictures, but we took a close up of this area, which shows both flaws. As you know, white hides a lot of sins, but black hides nothing. If you study the pictures, you can't help but be impressed with how straight this car really is. 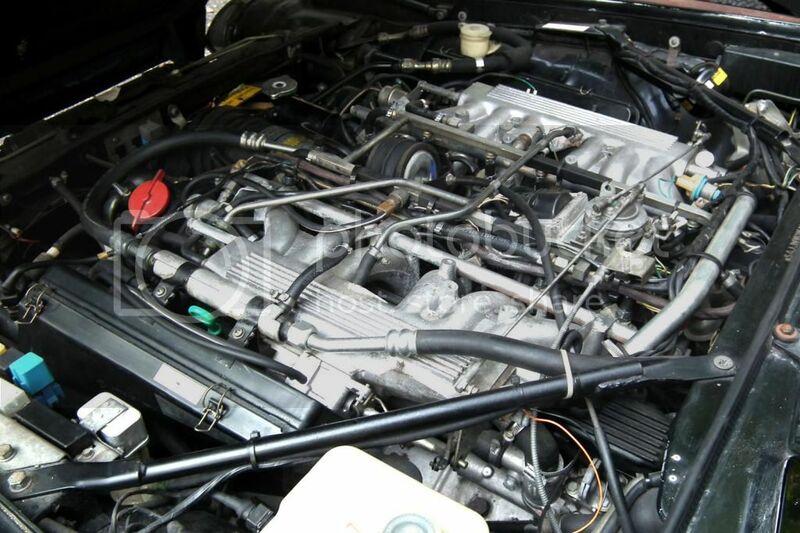 We didn't clean the fuel injected 326 cubic inch (5.3 liter) SOHC 285 horsepower twelve-cylinder engine because we didn't need to. The picture is the “As-Found” condition. The GM air conditioning compressor is still present. That's right, it uses a GM compressor, which makes it a lot cheaper to buy a replacement if one is ever needed, but's not now because the air conditioning blows cold. We measured 54 degrees at the center vent with the control knob set to “normal,” not bad for a car of this vintage. The odometer reads 33,783, but it's not to be believed. 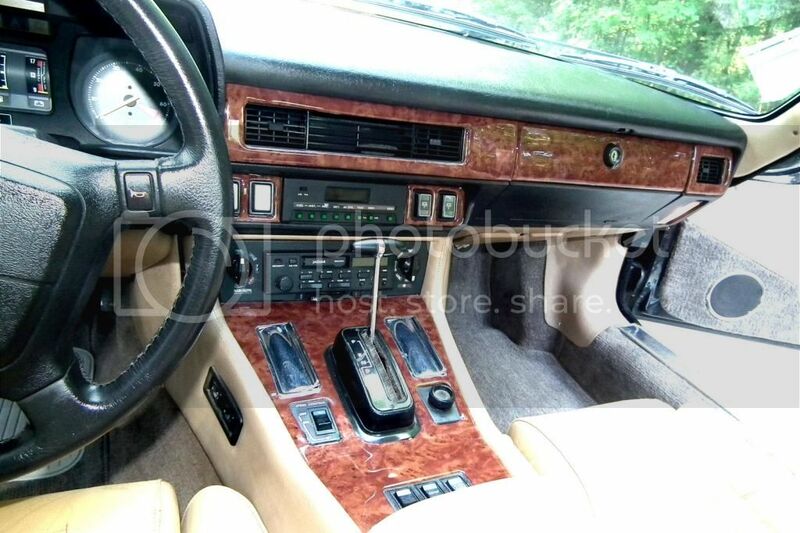 Our guess is a replacement odometer was installed because the electronic odometer Jaguar used is know to fail. From service records with the car, the last documented mileage is 56,292. Not long after that, the owner installed a set of Michelin V-Rated tires. These Michelin tires were on the car when it was removed from storage and they had good tread, about 95% we guessed. Based on this, we estimate the actual miles this car has been driven as 60-65,000. We wished we could have kept these tires, but from sitting in one spot for a dozen years, they had developed such serious flat spots that simply driving down a smooth highway shook the car worse than continuous speed bumps. A new set of tires was a necessity. What follows is a point-by-point summary of the condition: BODY & PAINT: Straight and Original; No signs of rust of rust repair. No signs of ever being hit or body repair; must have always been garaged. Smooth, glistening, gleaming paint; no evidence that we can see that it was ever repainted. 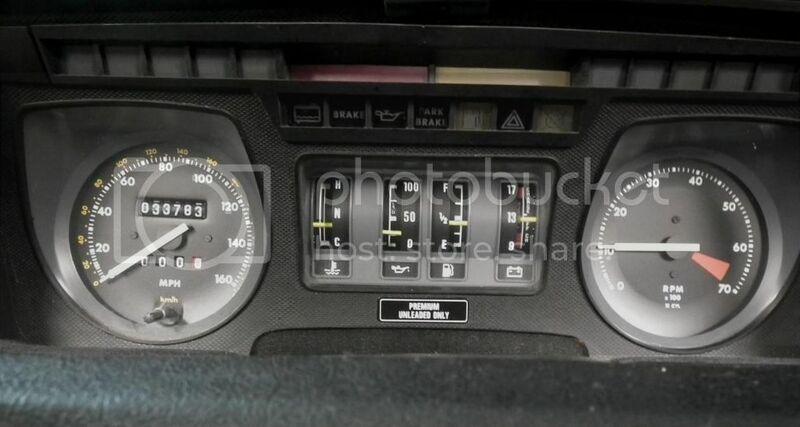 INTERIOR: Dash and Console - really nice condition as shown in the images. 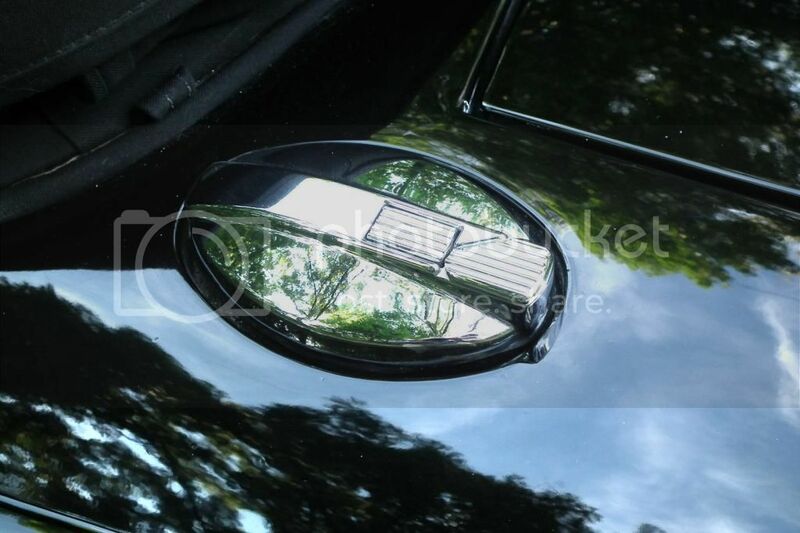 Dash pad & steering wheel – Factory Original; smooth, straight, no signs of fading, peeling, cracking or sun damage. 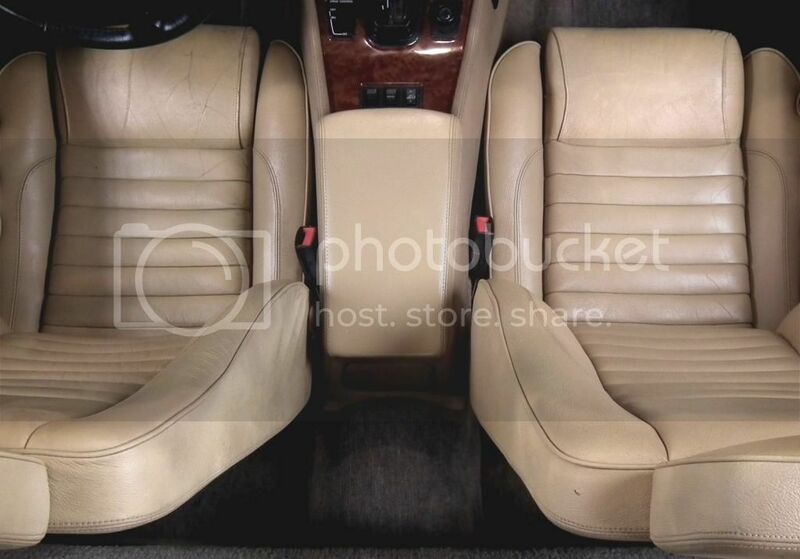 Seats and Carpet – Jaguar original, nice condition, minor wear on driver's seat commensurate with age and estimated mileage; no wear or stains visible on carpet, which is English Wilton wood carpet, not your ordinary nylon carpeting. 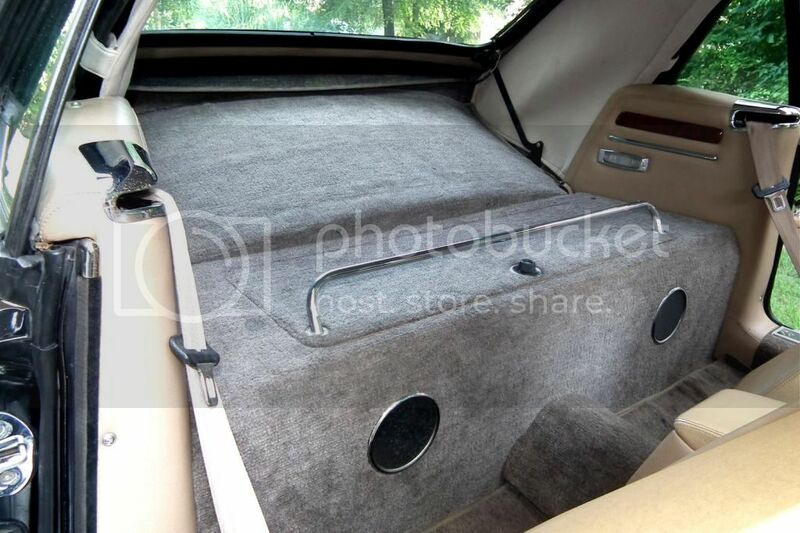 Rear Compartment – Clean, original, nice. 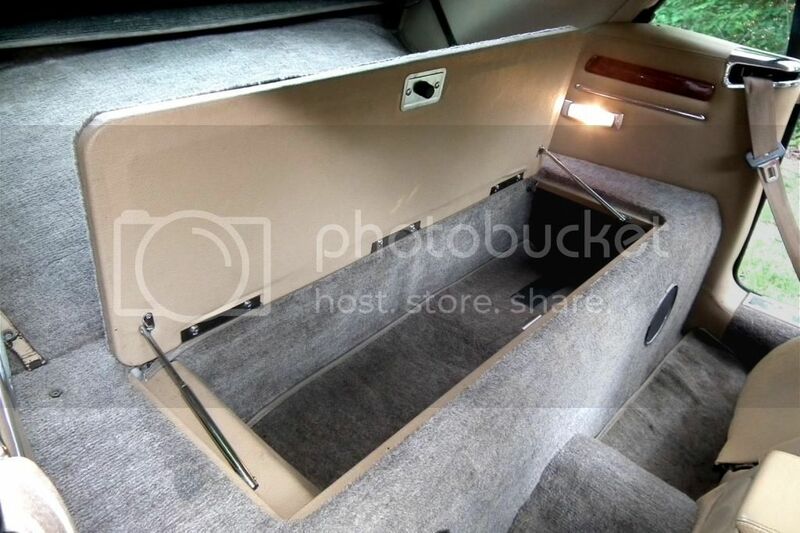 The storage compartment behind the seats can be locked. 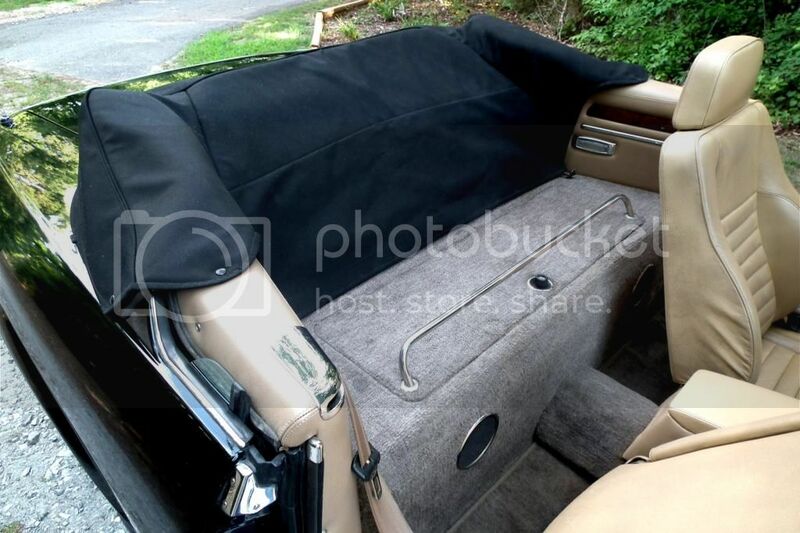 Headliner – Unlike American convertibles, the XJS has a full headliner hiding the top bows and mechanical bits that lower the top, making it look like a coupe when the top is up. If the headliner is crummy, expect a big bill to replace it. 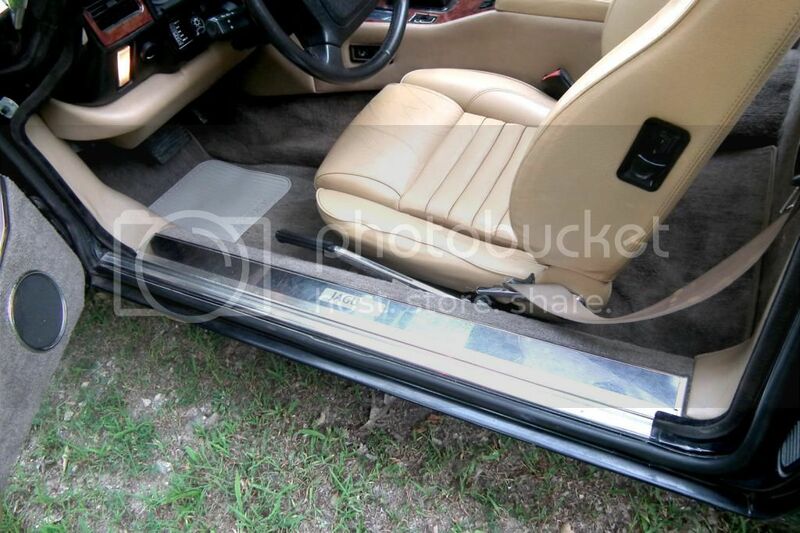 In this car, it's original, unsoiled and nice as you can see. Top, Boot Cover, and Glass – All factory original and nice; glass date code is July 1989, as shown in image 6. 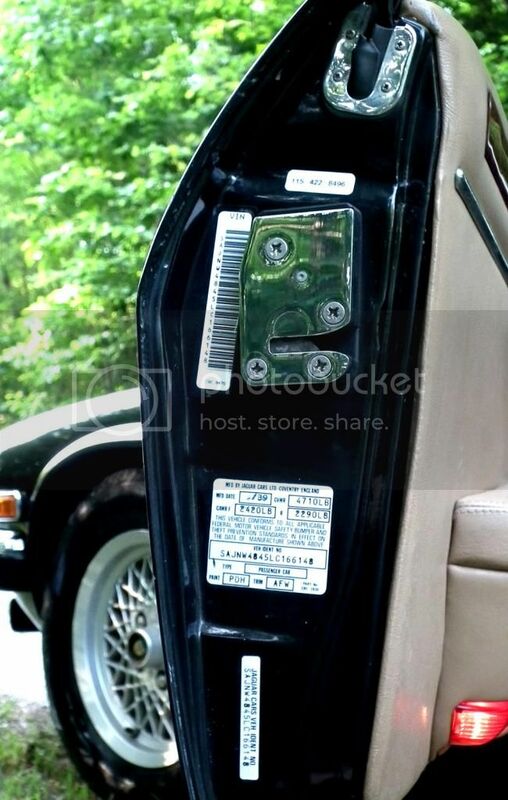 Rubber Weather Stripping – Often overlooked at the buyer's peril because it costs a lot of money to replace the weather seals in a Jaguar. 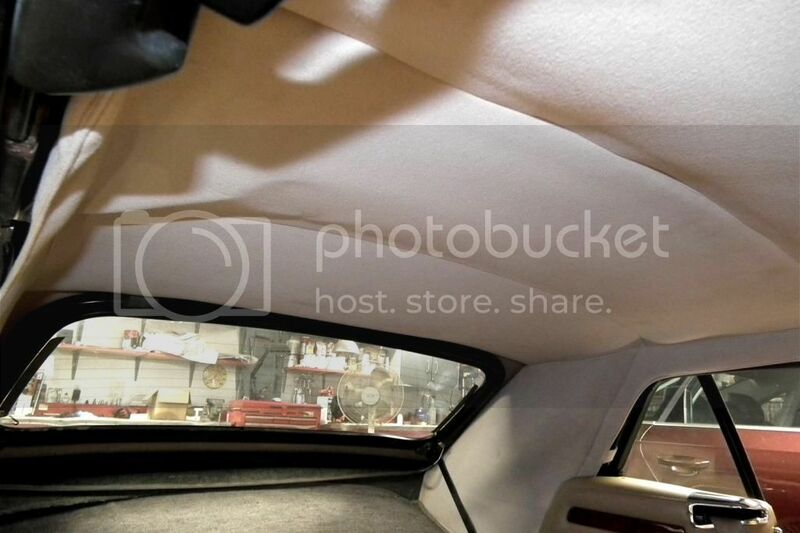 In this car, it's all original, soft, flexible, no cracking, no pulling loose, no peeling. 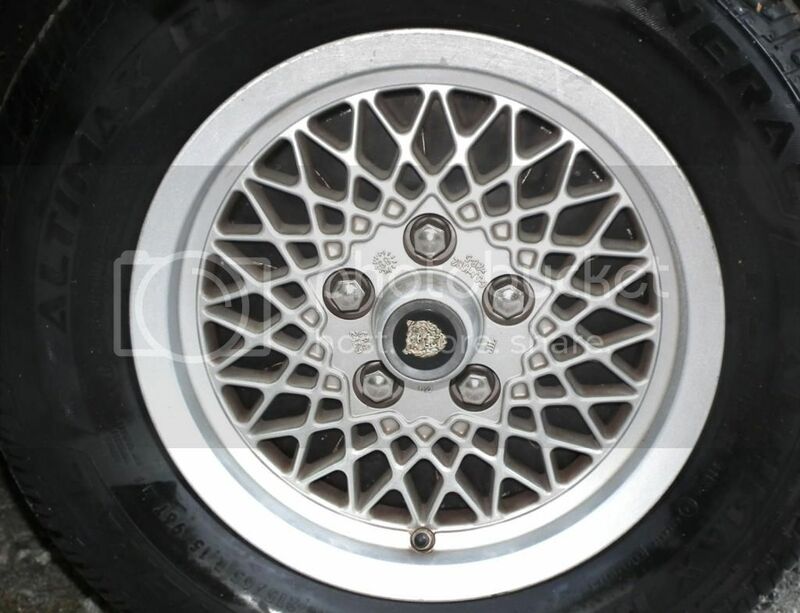 Wheels & Tires – The wheels are original Jaguar and look like the one below: bright, shiny, no road rash, no big scrapes, scuffs or scratches. 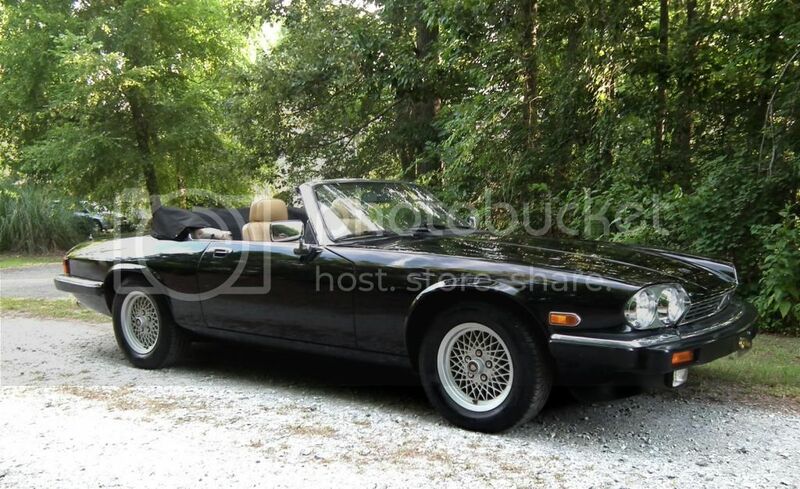 The Jag has four-wheel disk brakes, but they are “inboard” rather than the usual “outboard.” This cuts way down on the amount of brake dust and helps keep the wheels looking good. 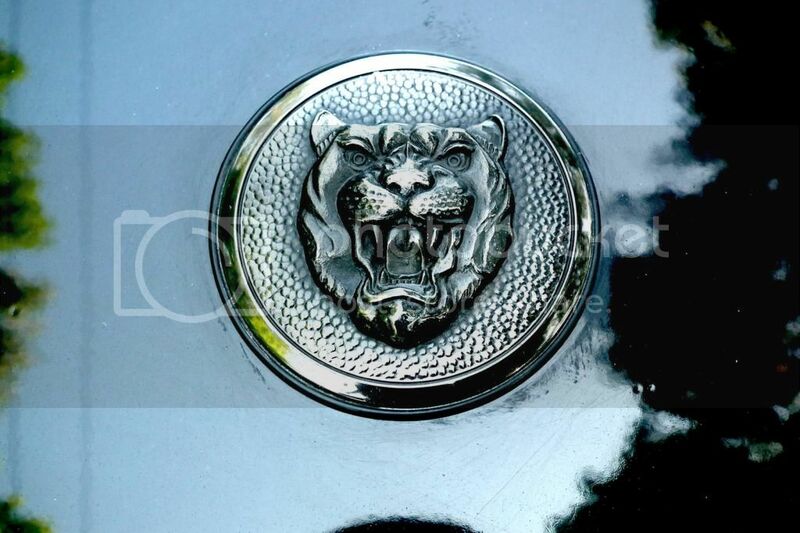 Details – The little detail items help make a Jaguar a Jaguar. 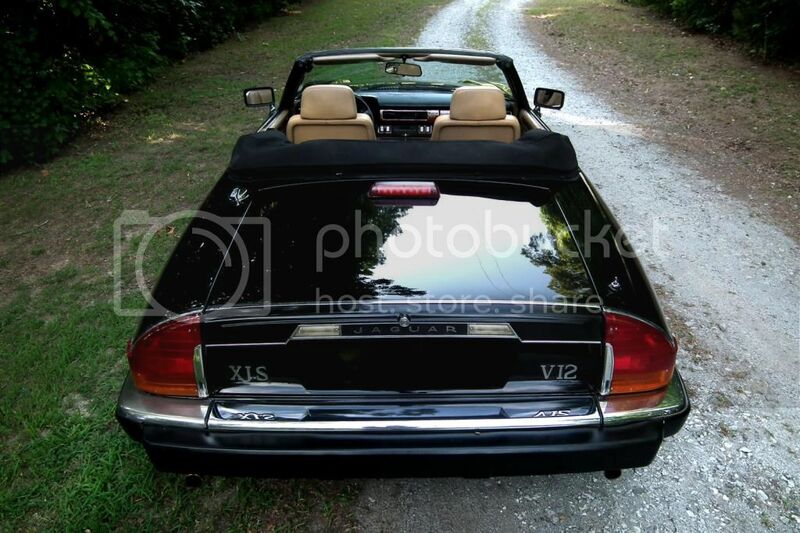 All are really nice on this car, as shown in the next three images. The third of these pictures is the really neat gas filler, which we demonstrate in the “walk around” video. 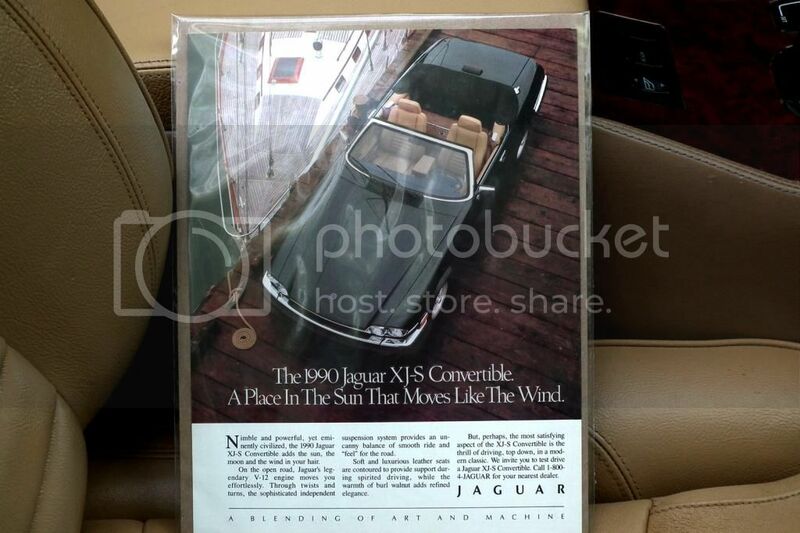 Investment Potential – After years of toiling in the doldrums of the collector car world, it looks like the XJS convertibles are ready to take off. As our expert witness, we cite Keith Martin's just-released Summer-Fall edition of the Sports Car Market Pocket Price Guide, p. 34, in which these cars are now listed as a “four-star” collectible which means they will appreciate at a faster rate than the collector car market as a whole. The SCM Experts project a 15% appreciation within one year. Compare that to what a bank pays you on your money. Finally to end our description, we'll just show a few pictures of the car and let it speak for itself. The door is open for you. 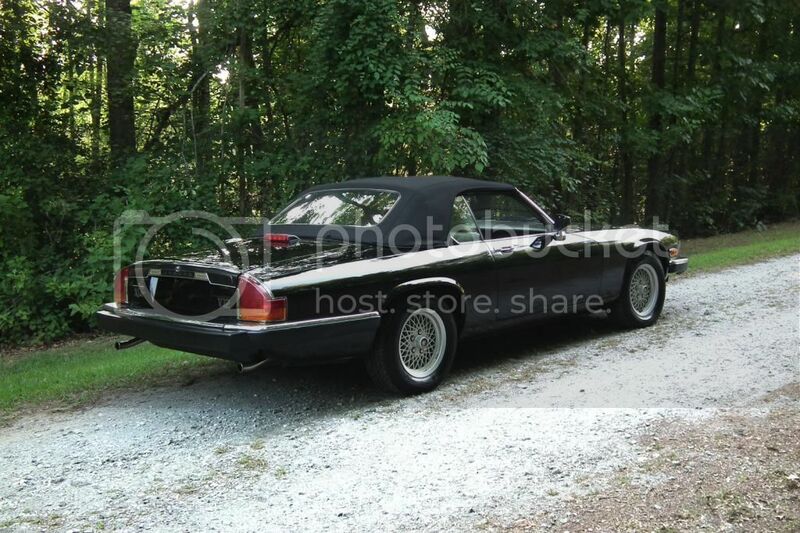 Be the high bidder and it will be you who gets in this Jag and drives away. If you like what you see in these pictures, be sure to take a look at the two embedded videos. 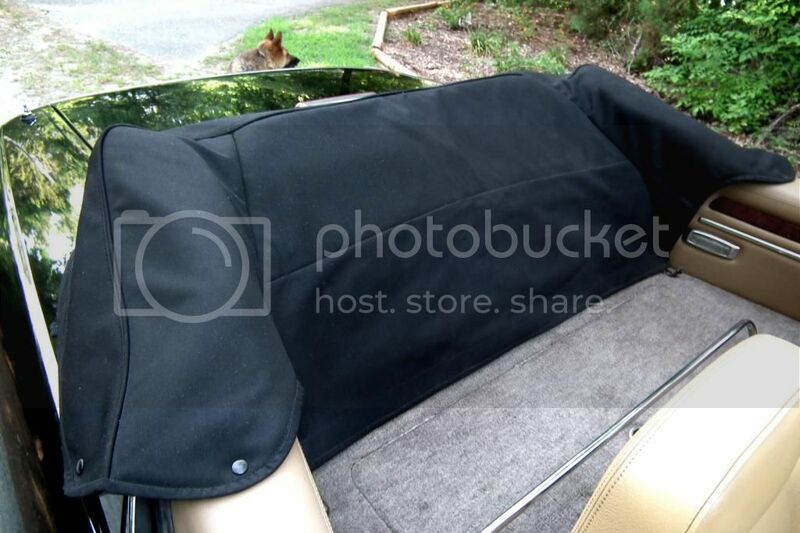 The first one is what you would see if you walked around the car, checking it out. The second one is a short test drive. 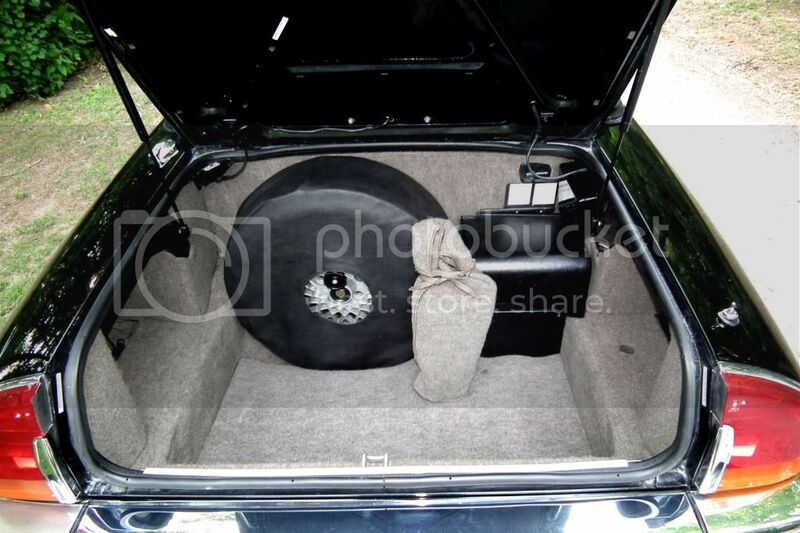 It lets you hear the car start, hear the engine running with the hood raised and hear the exhaust note. 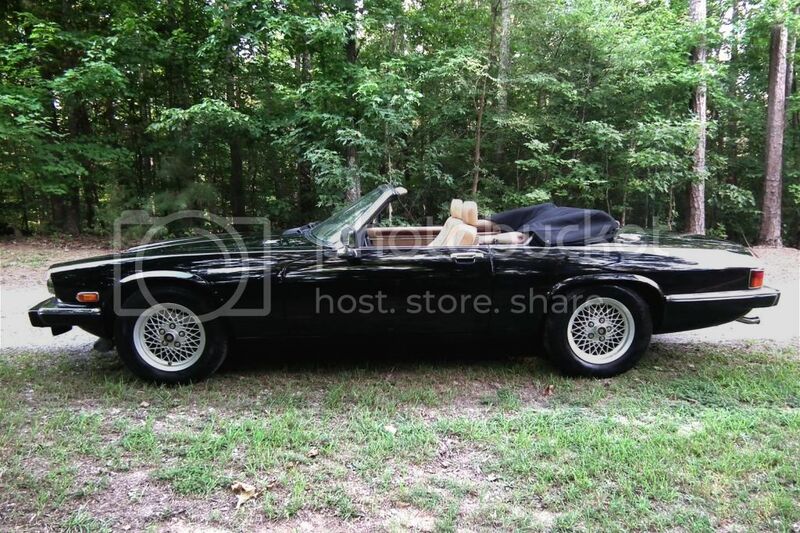 Then we get behind the wheel and take her out for a little spin. You will hear just how quiet and smooth this car is and how well it runs. 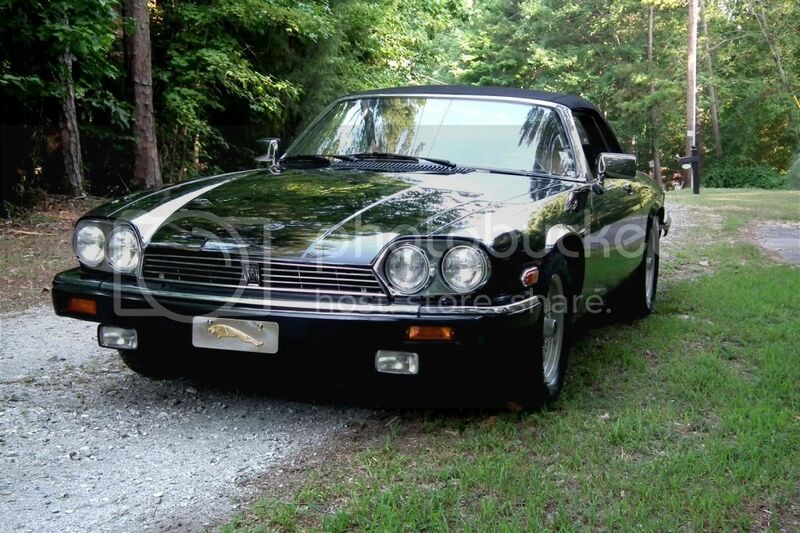 WHO WE ARE: Like Wayne Carini, we look for, buy, enjoy and sell classic cars, cars that are unusual, cars that interest us. In other words, we are car nuts. We've been crazy about cars for a long time, me since I was 10 years old and my wife since we were married more than forty years ago. I'm 71 now and my wife will soon be 70. We're both retired, so we have the time to play around with all kinds of great cars, cars we could have never afforded when they were new. Looking back, if only we had kept some of the cars we used to have, especially the 1961 Ferrari 250 GT. 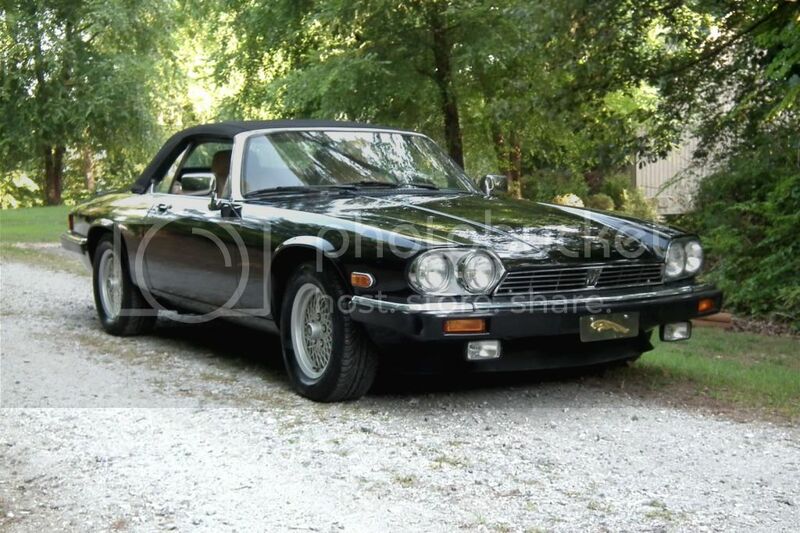 We bought it in 1978 for $8500, enjoyed it for a couple of years and sold it for $8500. That car today is worth more than our house. Terms & Conditions There is no substitute for your own personal inspection of the car, and we encourage that. 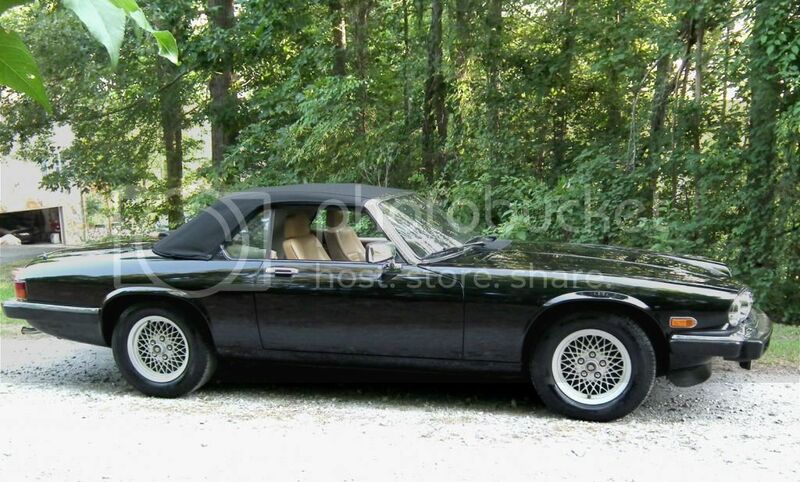 But a lot of time with eBay car auctions, people live to far away to make that practical. 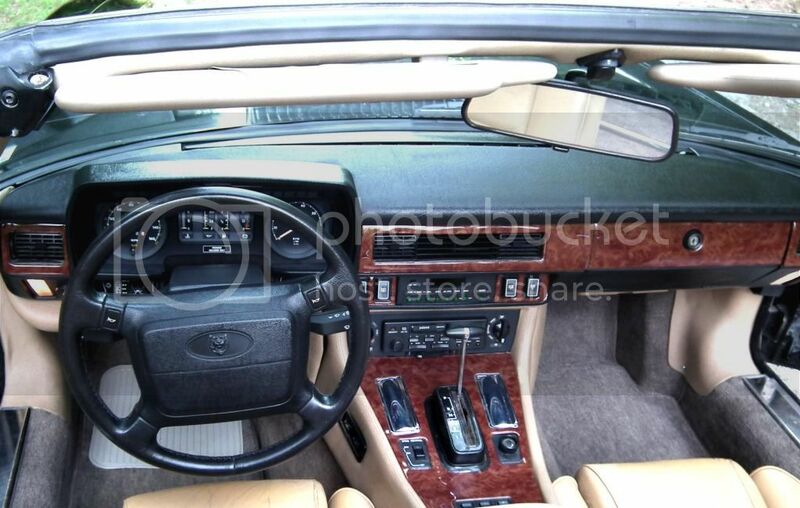 For that reason, we post a lot of high resolution images of the car so bidders can get a good look at what they're bidding on. 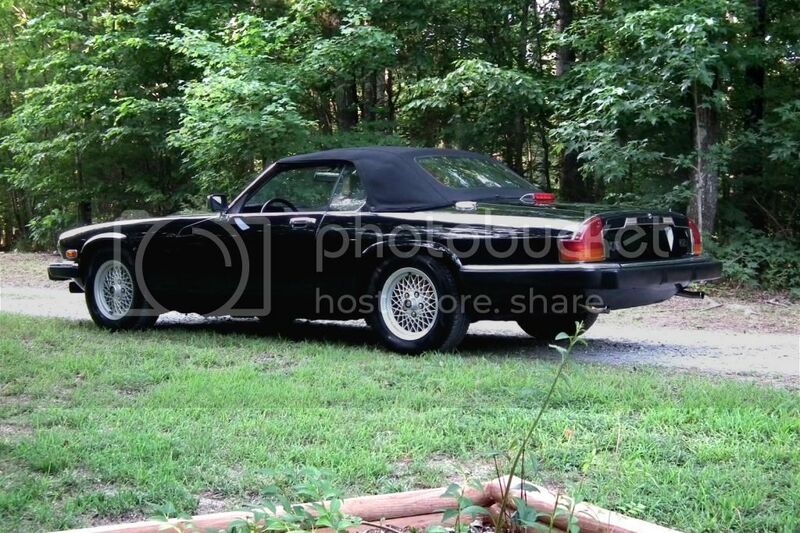 It's not as good as looking at the car itself, but it does give you a really good idea of what the car looks like. We also want you to be able to hear and see the car in action, which is why we've posted a Walk-Around video and a test drive video. Be sure to look at both of those at least once. We'd love to have you come out and see just how nice this car really is. Keep in mind that inspections must be completed before the auction closes, not after you win the bid. We will be happy to cooperate with any shipping arrangements you might make, but shipping is at your expense. 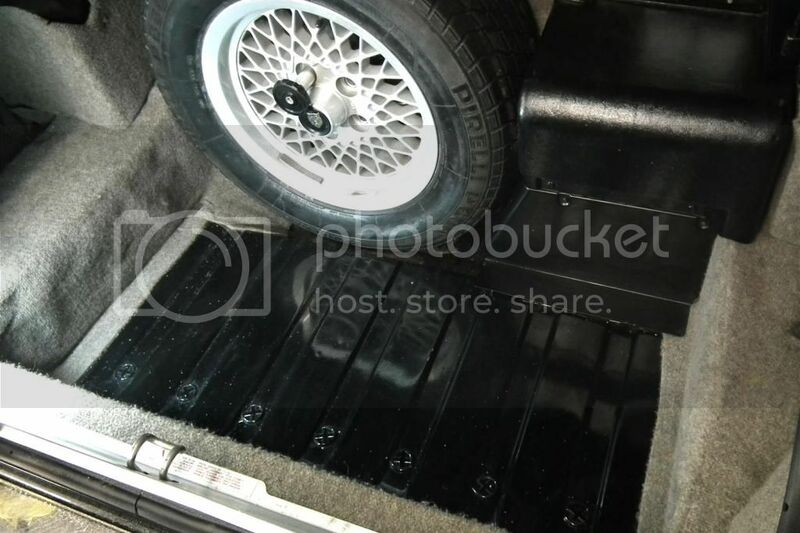 We will also store the car in our garage for a reasonable period of time until you can make shipping arrangements. We reserve the right to end this listing at any time, should the vehicle no longer be available for sale. The following terms of sale apply: Please, if you do not intend to pay, please do not bid. If you need financing, please arrange it before you bid. All bidders with less than 5 feedback's need to email us or their bid might be canceled. The successful high bidder is to submit a $500.00 NON-REFUNDABLE payment deposit with PAYPAL within 24 hours of the close of the auction to secure the vehicle. Buyer agrees to pay remaining balance due within 3 working days from the close of the auction. All financial transactions must be completed before delivery of the vehicle or transfer of title. IF YOU DO NOT AGREE WITH THESE TERMS OR THINK THEM UNFAIR IN SOME WAY, PLEASE DO NOT BID. PAYMENT METHODS PayPal for the deposit; Bank transfer or Certified Bank Check (Check must clear before title transfer or delivery of car. CAR SOLD AS IS - NO WARRANTY Please note that this sale is binding and FINAL. This vehicle is being sold AS-IS, WHERE-IS with NO warranty expressed, written or implied. Any descriptions or representations are for identification purposes only and are not to be construed as a warranty of any type. It is the responsibility of the buyer to have thoroughly inspected the vehicle and to have satisfied himself\herself as to the condition and value and to bid based upon that judgment. We try to represent it as accurately as possible to disclose any known defects associated with this vehicle. 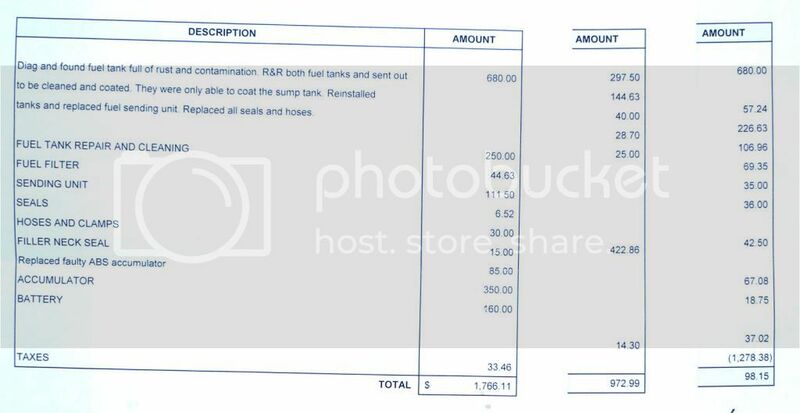 Seller assumes no responsibility for any repairs. We do not warranty anything that may or could happen after sale. Please carefully read the terms & conditions of the sale before bidding. Any inspections are to be completed before the end of sale, not afterward. Please, NO EXCEPTIONS. 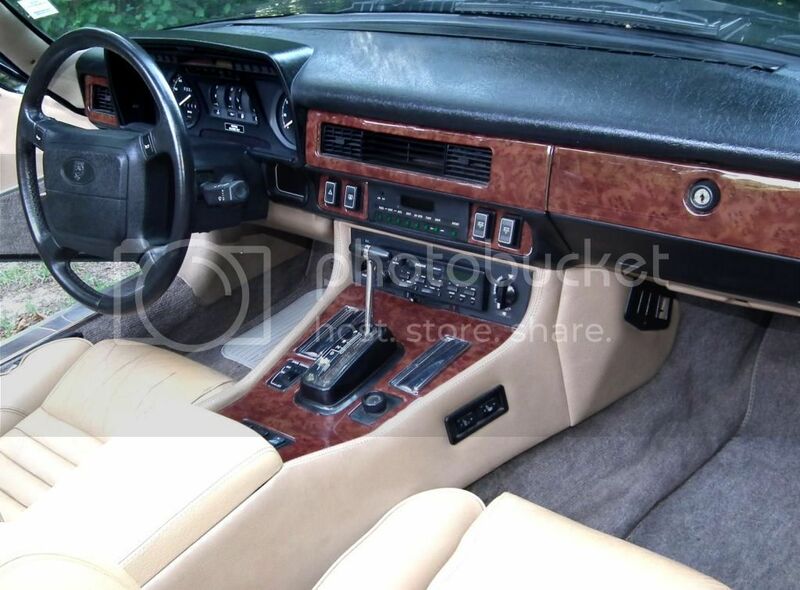 Winning this auction does not entitle you to come inspect the car and decide if you want to buy it, but OBLIGATES you to complete the purchase! Thanks so much for your bids, good luck. Should you need assistance in transport, we can refer you to a couple of companies we have taken really good care of cars we've bought in the past. 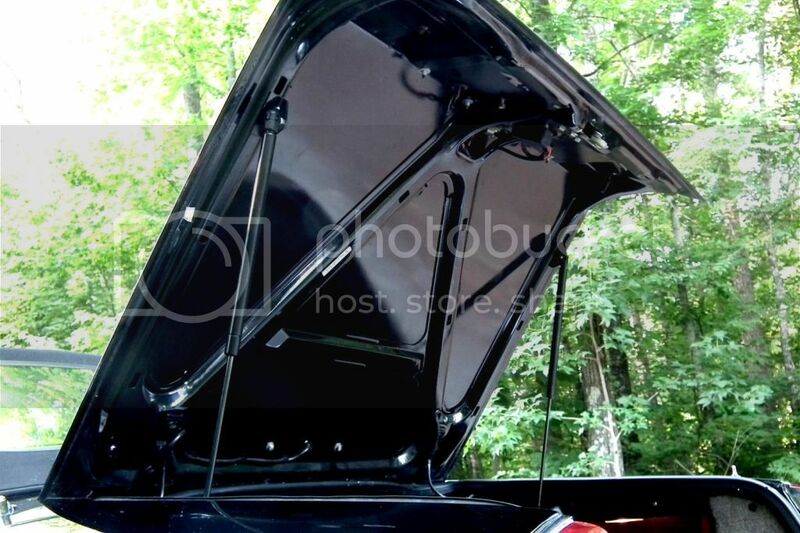 A number of high resolution images are presented below showing the car from all angles. They are well worth studying closely. A You-Tube video is also embedded below with a walk-around inspection and a short drive so you can hear and see the car in action. Note how easily the engine starts and how smoothly it runs as well as how solid the car is as it drives along the bumpy gravel driveway. Jaguar to expand Jaguar XKR-S GT production run? According to a report in Autocar, demand for the Jaguar XKR-S GT is such that the English company could nearly double production from 30 to 50 cars. Such inflation can often incense those have already put deposits down, worried that they've both been lied to about the potentially diminished values of their cars, but Jaguar has made the announcement barely a day after the XKR-S GT was revealed and 50 still isn't that many vehicles. Nothing in the Autocar report indicates the additional examples will not come to America, making the 500-horsepower superfast coupe a treat we can still call all our own. Jaguar didn't add horsepower but instead honed other aspects of the car to produce a GT that can lap the 'Ring nearly as quickly as a Ferrari 458 Italia, and the world should be the beneficiary, the company's brand director saying, "The real beauty of this project has been that it has extended our understanding of the elements involved in making a car go so fast, and that will feed back into all our road car programs." Sounds good to us. The XE may prove to be the most vital new model to Jaguar's expansion. But to date we've only really seen it in top-spec, supercharged XE S form. That ends right here and now, however, as Jaguar releases details, photos and even a brief video clip showing the entire range - including those most customers are bound to buy. Globally speaking - or at least in its home market - Jaguar will offer the XE with five different engines and in four different trim levels. The new Ingenium engine family includes two diesels and two turbocharged gasoline options along with the top-of-the-line supercharged V6 that will serve as the XE's performance flagship model, at least until a new SVR version comes along. Both six-speed manual and eight-speed automatic transmissions are on offer, and overseas buyers will also be able to choose between base SE, mid-range Prestige, opulent Portfolio, dynamic R-Sport and range-topping S trim levels. Of course not every engine is available in each trim level and with either transmission, so instead of 40 combinations we're looking at 22. Once the XE reaches American showrooms, we'll likely be looking at even fewer, as we're not expecting the manual and diesel versions to be offered Stateside. Stay tuned as well for our live impressions from the floor of the Paris Motor Show. But in the meantime you can scope out all the details and UK specifications in the press release below, along with the short video and the gallery of 74 high-resolution images above.